Dreamcoat is our delightful new Shetland pony. 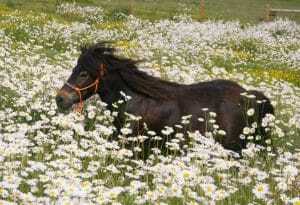 He has come from another farm on our estate where he was kept as a friend to a rescued Shetland pony. However, Dreamcoat loves children and being ridden. So, he has come to Shetland Pony Club where there are lots of children and Shetland ponies to make friends with. His proper name is “Joseph and his Amazing Technicolour Dreamcoat”, so we call him “Dreamcoat” for short. He has made friends with Batman and the other ponies at Shetland Pony Club. He has settled in well in his new home – watch the video to find out who Dreamcoat has made friends with. He is very happy now that he is being ridden and loves children.